Unity Technologies is the creator of Unity, a flexible and high-performance end-to-end development platform used to create rich interactive 3D and 2D experiences. Unity's powerful graphics engine and full-featured editor serve as the foundation to develop beautiful games or apps and easily bring them to multiple platforms: mobile devices, home entertainment systems, personal computers, and embedded systems. Unity also offers solutions and services for creating games, boosting productivity, and connecting with audiences including the Unity Asset Store, Unity Cloud Build, Unity Game Performance Reporting, Unity Ads, and Unity Everyplay. Unity Technologies serves over 700,000 monthly active developers including large publishers, indie studios, students and hobbyists around the globe. For more information, visit: http://unity3d.com. This is fantastic news and will bring hundreds if not thousands of games to New 3DS eshop. 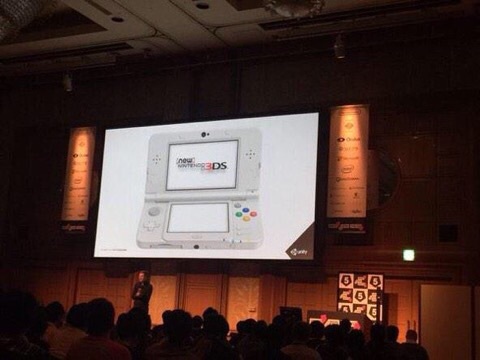 Unity engine support gives indie developers great access to make games easily for New 3DS. The PS4 and Wii U have recently been getting lots of great indie support because they support various graphics engines they support. The future of the New 3DS is significantly brighter now because of this announcement and I expect so many more unique and fun western style games to release using the more advanced features of the New 3DS!